A powerful ‘skunk-like’ form of cannabis is linked to a quarter of new cases of psychosis, according to a study. Researchers at King's College London found the potent form of the Class B drug increased the risk of suffering a serious psychotic episode for daily users by five times – and tripled the risk for casual users. “This paper suggests that we could prevent almost one quarter of cases of psychosis if no one smoked high potency cannabis. This could save young patients a lot of suffering and the NHS a lot of money,” said Sir Robin Murray, Professor of Psychiatric Research at Institute of Psychiatry, Psychology & Neuroscience at King’s. The six-year project followed 800 people aged between 18 and 65 in south London, including 410 who had suffered psychosis and 370 healthy patients. 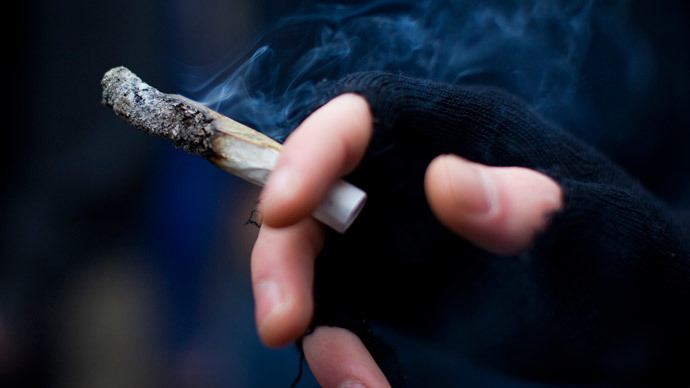 “Compared with those who never used cannabis, individuals who mostly used skunk-like cannabis were nearly twice as likely to be diagnosed with a psychotic disorder if they used it less than once per week, almost three times as likely if they used it at weekends, and more than five times as likely if they were daily users,” the paper states. The study, published in the medical journal The Lancet, suggests some 60,000 people in Britain are thought to be living with mental health conditions involving hallucinations and paranoid episodes made worse by smoking this type of cannabis. The study also found those who started taking the drug before the age of 15 were at a greater risk. The team did not find any link for the milder form of cannabis, known as hashish. “You’re not going to go psychotic after a couple of puffs. It’s like alcohol – drinking the odd glass of wine is fine, but if you’re drinking a bottle of whisky a day you’re heading for trouble,” Murray said. Skunk typically contains far more Tetrahydrocannabinol (THC) – the main psychoactive ingredient – than other types of cannabis. “The worldwide trend of liberalization of the legal constraints on the use of cannabis further emphasizes the urgent need to develop public education to inform young people about the risks of high-potency cannabis,” the team said.